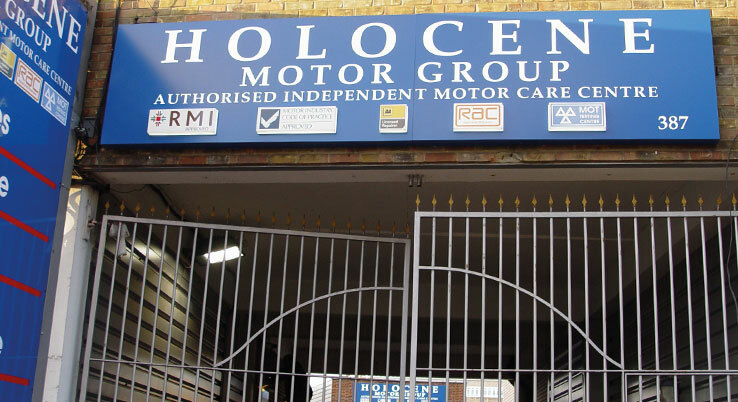 Holocene Motor Group, based in Camden, is a family run independent garage established 35 years ago. CRS Display Sign Trays - Quality aluminium composite sign tray with full colour laminated prints, available with fret cut lettering with or without lighting. 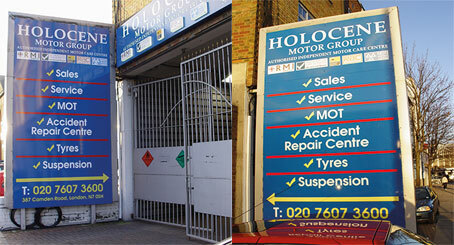 CRS Display Outdoor Signage - Our range of outdoor sign systems are as versatile as you need them to be. The system’s robust, extruded aluminium posts, poles and panels combine to provide exterior signs with real presence. 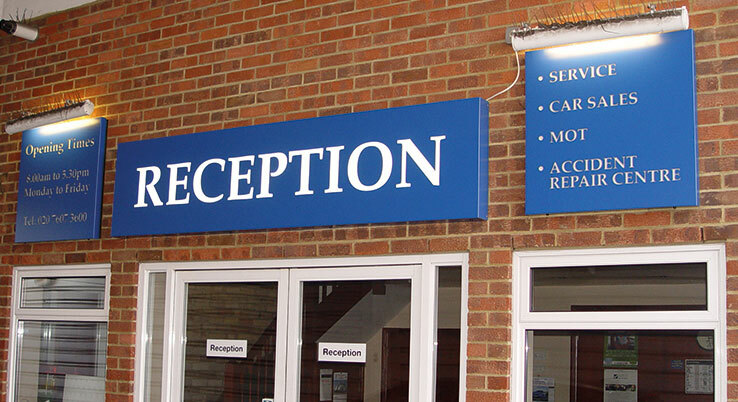 CRS Display Flat Letters - Flat Cut letters or logos are a cost effective way of producing quality signage at affordable prices. We've used CRS Display for several years, and as a local supplier they have understood our needs, as we've rebranded the business and developed a whole new approach to onsite signage and visual impressions during that time. Their service is excellent and they provide us with the flexibility we need as a small organisation ourselves.